I'm reading Pelikan's first volume of The Christian Tradition, a History of the Development of Doctrine. In this section called "The New Prophecy" in chapter 2 (page 104 in my edition), Pelikan discusses Montanism. Apparently, in the early stages of Montanism, it was focused on moral rigidity and did not try to alter the doctrine of the Church; Montanus probably did not view himself as the Holy Spirit incarnate. Regardless, in later Montanism, his adherents probably viewed him as the Paraclete (aka Spirit) and therefore attempted to alter the doctrine of the church. In other words, they would seem to have embraced the doctrine that Father, Son, and Holy Spirit were only successive modes of manifestation of the one God. In that case, the manifestation of God as Son in Jesus would have been followed by the manifestation of the one God as Paraclete in Montanus, each in turn. Such language about the Trinity was in itself quite acceptable in the second century, and even later; but when the church went beyond it to formulate the dogma of the Trinity, those Montanists who continued to use this language as a way of including Montanus in the manifestations of God found themselves heretical on this score as well. 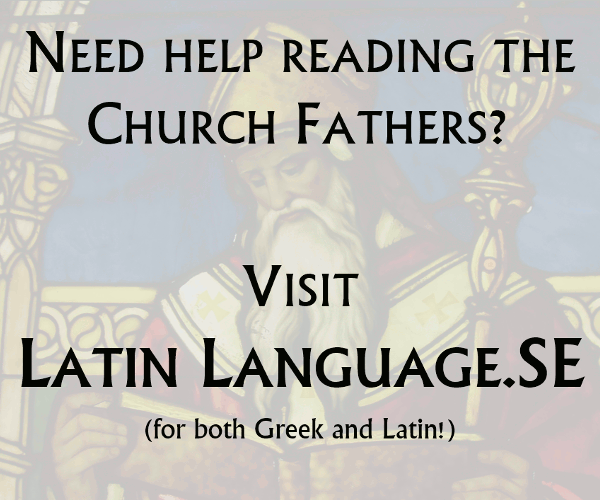 To me this sounds like Pelikan is asserting that using the language of modalism to describe the Father, Son and Spirit was, in the second century and perhaps beyond, not inappropriate and not contrary to the orthodoxy of the Church. I would say that this claim is totally bogus. Its more likely that in the second century the Spirit wasn't seen as a person of the godhead at all. After all, Justin Martyr (circa 140-150 AD) was the great champion of orthodoxy, and in his dialogue with Trypho he spends a great deal of time trying to explain how Jesus could be God (e.g. the analogies of light from light and fire from fire are employed) but he never touches the concept of the divinity of the Spirit. Another possible issue to grapple with on this is divergent copies of the canonical gospels. We know from anti-heretical writers like Ireneaus (circa 180 AD) that different sects had different versions of the canonical gospels. For example, in the text in Mark (3:31-32) where we read the narrator comment "Jesus' mother and brothers were outside seeking to speak with him" followed by "Someone told him, 'Your mother and brothers are outside seeking to speak with you'" some sects had copies that lacked the narrator comment, and they put the interpretation on this that Jesus didn't really have a mother, and/or whoever said this was trying to trick him to test if he was really a prophet. Its conceivable that some copies of John possessed by some sects lacked the part that identifies the paraclete with the Spirit of Truth, thus enabling them to identify the paraclete as a man, whether that be the Apostle Paul, Marcion, Montanus, or whoever they wanted it to be. If that's all it means, there are obviously various positions that could be taken, and modalism is only one of them. If the "simple" were really so simple after all, then modalism is probably the least likely. A strict view that the Father is God alone and the Son and Holy Spirit are not could just as well be called Monarchianism in that sense, as also could more complicated notions like modalism and "dynamic monarchianism" (i.e. the idea that Jesus was a man who was adopted and then subsumed into God as it were). 2.) Its not typical to use lay opinion as the litmus test of orthodoxy. The fact is that the dominant lay view in every century probably remained about the same (non-Trinitiarian), and completely different from the establishment's views. Orthodoxy is always defined by the establishment in scholarly literature. 3.) "the church" in scholarly literature is always the clergy, not the laity. One obvious reason for this is the clergy write theological treatises and the laity either do not, or if they did, the clergy destroyed them all. Its easier to count the written books by the "orthodox fathers" and tally them up and claim such and such is the consensus position of the church, than to count the unwritten opinions of the mass of laity who undoubtedly thought their clerics were crazy. In other words, the Catholic standard of "what was believed by all Christians at all times" never counted the laity, but only the big writers. And even then, if there was a big writer who disagreed, he was labelled a heretic by the establishment, his books were burned, and then it was as if he had never existed, so all is well for orthodoxy with the "what was believed by all Christians at all times" criterion once again. Not the answer you're looking for? Browse other questions tagged trinity modalism or ask your own question.